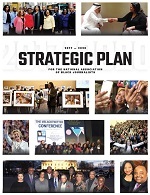 WASHINGTON, D.C. (May 19, 2014) - The National Association of Black Journalists (NABJ) today announced the selection of CNN Anchor Michaela Pereira as the recipient of the 2014 Angelo B. Henderson Community Service Award. The award recognizes a journalist who has had a positive impact on the community outside the normal realm of journalism and was named for the late Angelo Henderson, who as a reporter for The Wall Street Journal won a Pulitzer Prize and later became a minister, community activist and radio talk show host. "Each and every morning viewers of CNN are able to see in Michaela Pereira a compassionate journalist who understands that journalists have a responsibility to be involved in the community," said NABJ President Bob Butler. "While in Los Angeles Michaela gave voice to people who needed a voice, and told stories that needed to be told. She also serves as a role model, a source of inspiration, or a listening ear. She uses her platform, her power and her personality to communicate a clear message, a very real truth that our shared experiences as people really do bind us together." Spurred in part by her upbringing as one of five adopted children, Pereira has a special place in her heart for children. She has served as chairwoman of the board of LA's BEST Friends, an after school education, enrichment, and recreation program, as a member of the board of directors for the Long Beach Boys and Girls Club, as an advisory board member for Court Appointed Special Advocates (CASA), supporting children in foster care, and as an honorary advisory board member for Optimist Youth Home, which provides services for troubled youth. In addition to her service Pereira openly discusses her own life story in hopes of inspiring others to live without limits. She recently wrote about her adoption story, her quest to find her birth family, and her life after in a well-regarded article, which recently appeared in Essence magazine. Pereira is currently the news anchor on CNN's flagship morning program, New Day, and a co-anchor of another morning newscast @THISHOUR. For nine years she co-anchored the KTLA Morning News the number one rated morning show in Los Angeles. Her past honors include the Hollywood Community Leadership Award from The Hollywood Police Activities League and the Celebrity Philanthropist Award from the Association of Fundraising Professionals. When informed of the award, Pereira said she was "speechless, stunned and honored" but also wondered if she deserved such an award. The special honors committee, the board of directors and dozens of her colleagues agree that indeed she does. NABJ salutes Pereira for her continuing community commitment and congratulates her on this most well deserved honor. 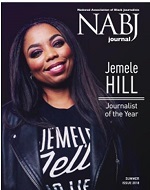 Pereira will be honored along with NABJ's other honorees at NABJ's Salute to Excellence Gala on August 2, 2014 during NABJ's 39th Annual Convention and Career Fair in Boston.